Building on NASA’s rich history of exploration of Earth’s neighborhood and distant planetary systems, we are poised to provide a predictive understanding of our place in the solar system. While sunlight fundamentally enables and sustains life, our star can also produce radiation and magnetic energy that can disrupt planets’ atmospheres, satellites, and even life. We study this space environment in order to send spacecraft and astronauts through it safely. Closer to home, we seek knowledge of near-Earth space, because -- when extreme -- space weather can interfere with our communications, satellites and power grids. boundaries of the solar system as it travels through our interstellar neighborhood. NASA studies the Sun for numerous reasons. The Sun’s variable radiation influences the habitability of Earth, which can be either be helpful or detrimental to life. The accompanying energy and plasma the Sun sends out, can create changes in the space weather around us and interfere with our space technology and communications systems. The Sun is the only star we can study up close, and can inform our research of other stars throughout the universe. The Sun’s constant outflow of solar wind fills space with a thin and tenuous wash of particles, fields, and plasma. This solar wind, along with other solar events like giant explosions called coronal mass ejections, influences the very nature of space and can interact with the magnetic systems of Earth and other worlds. Such effects also change the radiation environment through which our spacecraft – and, one day, our astronauts headed to the Moon and to Mars – travel. Such space weather can interfere with satellite electronics, communications and GPS signals, and even – when extreme – utility grids on Earth. The magnetosphere is a bubble of magnetic fields that surrounds Earth, created by the natural magnetism of the planet. The magnetosphere protects humans on Earth from incoming energy from the Sun, however it does change shape and size in response to such space weather, and these fluctuations can degrade communication signals and cause unexpected electrical surges in power grids. 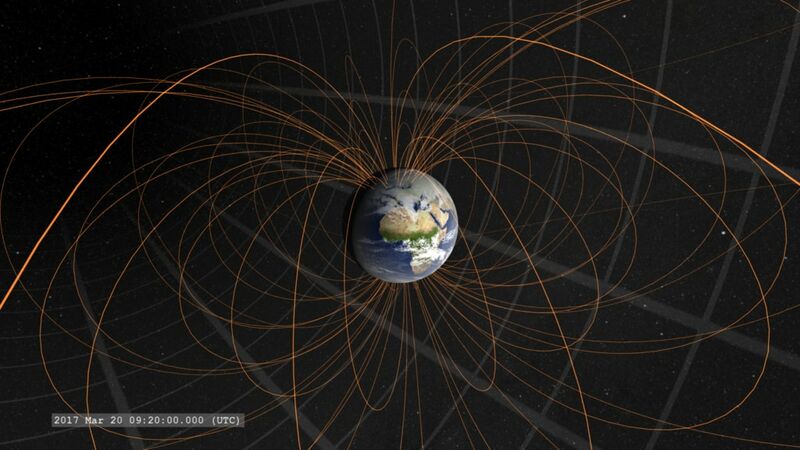 NASA studies the magnetosphere to better understand its role in our space environment. By studying this space environment close to home, we can better understand the nature of space throughout the universe. Such research helps unravel the fundamental physics of space, which is dominated by complex electromagnetic interactions unlike what we experience day-to-day on Earth. 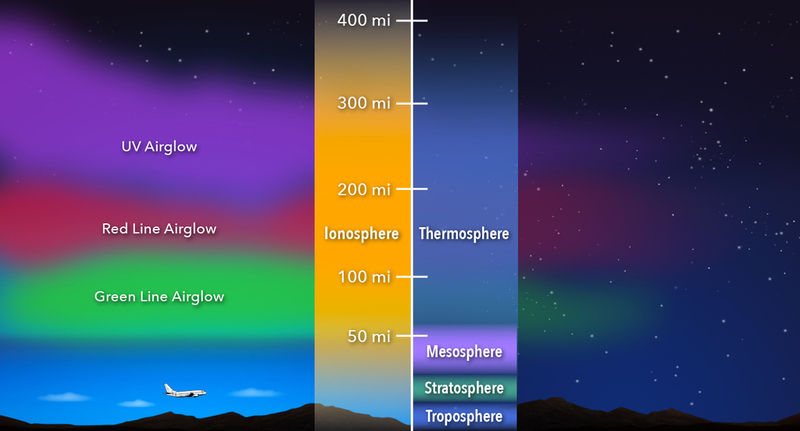 NASA studies the layers of the atmosphere, such as the ionosphere-thermosphere-mesosphere system where aurora and other space weather events manifest. The ionosphere is a layer in Earth's atmosphere that extends from about 50 to 300 miles above the surface of the planet. The layer is filled with electrically charged particles and overlaps with the neutral particles of the mesosphere and thermosphere. The ionosphere is sensitive to incoming material from the Sun, so it can respond dramatically to space weather. Since the ionosphere is home to low Earth-orbiting spacecraft, as well as the region of space through which radio communications travel, unexpected changes in the region can have a dramatic effect on human technology. The Sun sends out a constant flow of charged particles called the solar wind, which ultimately travels past all the planets, extending out three times the distance to Pluto before being impeded by the interstellar medium. This forms a giant bubble around the Sun and its planets, known as the heliosphere. NASA studies the heliosphere to better understand the fundamental physics of the space surrounding us -- which, in turn, teaches us more about the nature of space throughout the rest of the universe, as well as regarding how it drives planetary atmospheres that contribute to planet habitability.